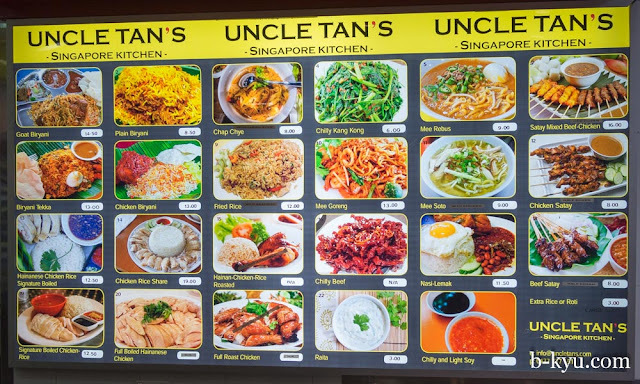 We've had some pretty good feeds at Uncle Tan's, the chef has some great chops. We've had one or two so-so dishes as well, teething problems we guess. The lovely folks that run the place don't seem like hardened restaurant types, which is something we always love in a stall, it can lead to some unique, special and sometimes homely cooking. But such stalls are often short-lived as the 7-day-12-hour foodcourt grind wears folks down pretty quick. 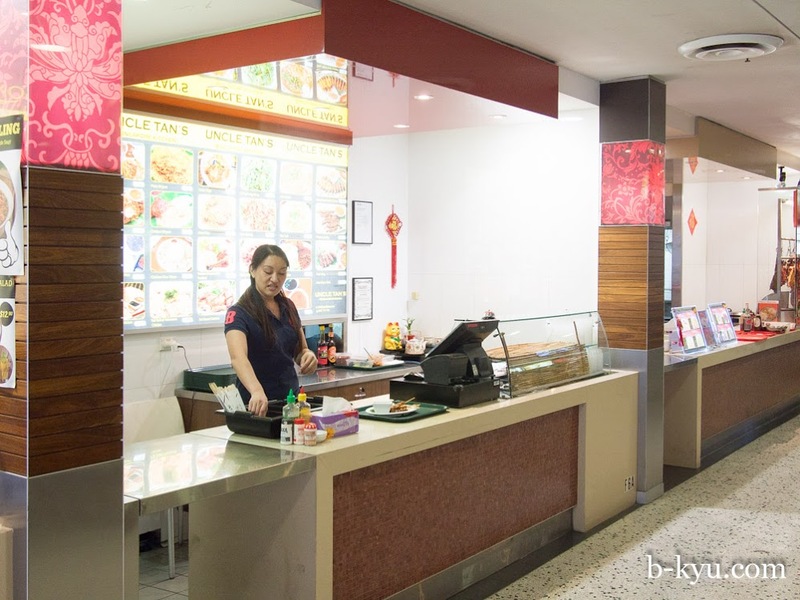 Hence the most interesting Chinatown foodcourt stalls are the short-lived ones. 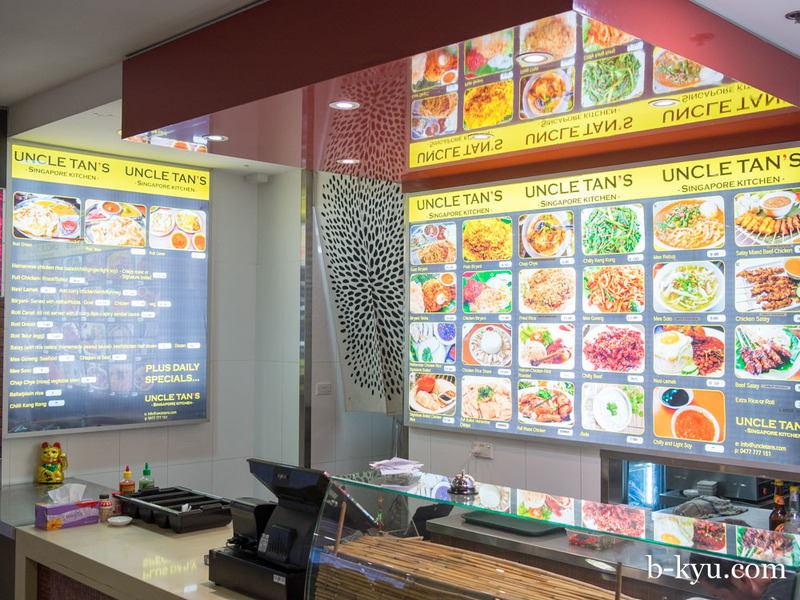 So if you're into a bit of Singaporean with a spicy twist then get your buttocks down to Sussex Centre as soon as you can, you just never know how long this place will be around. 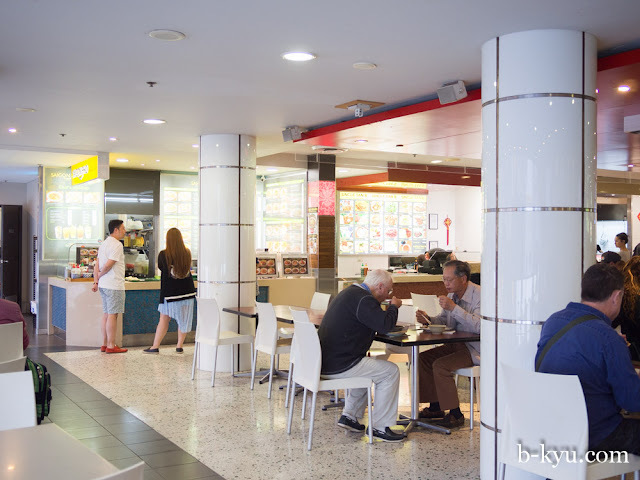 We hope folks take to the place, it's great to have some Singaporean in the foodcourts again since the sad closure of Singapore Shiok. 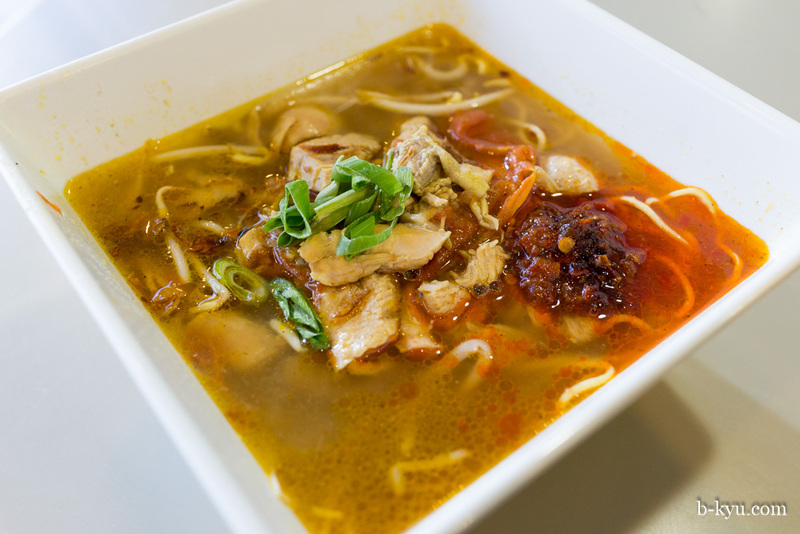 We really dig Uncle Tan's spicy take on mee rebus - $9. Yellow noodles in a thick gravy-like curry soup. 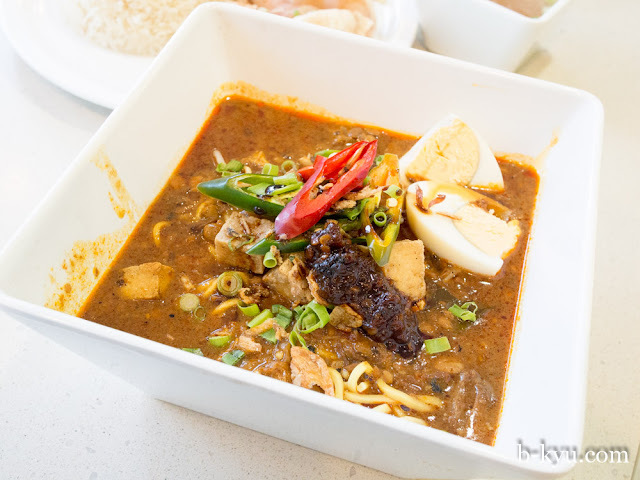 A darker curry then we have seen before is filled with small chunks or tempeh, tofu, salty yellow beans, sprouts, cooked egg and tiny chunks of chicken. Add a heart spoonful of sambal and it's a winner. 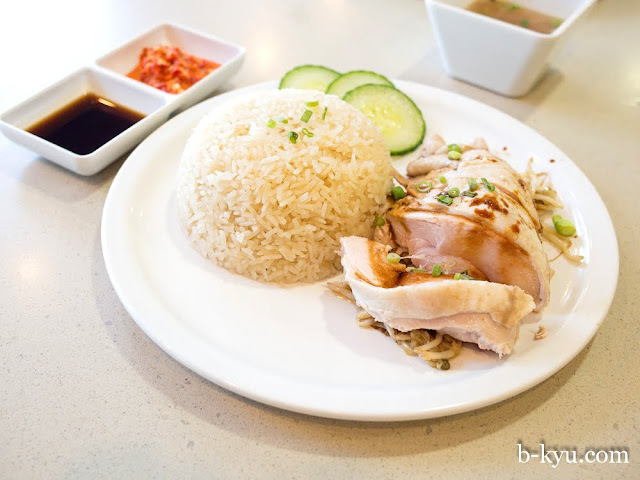 Hainanese chicken rice - $12.50. 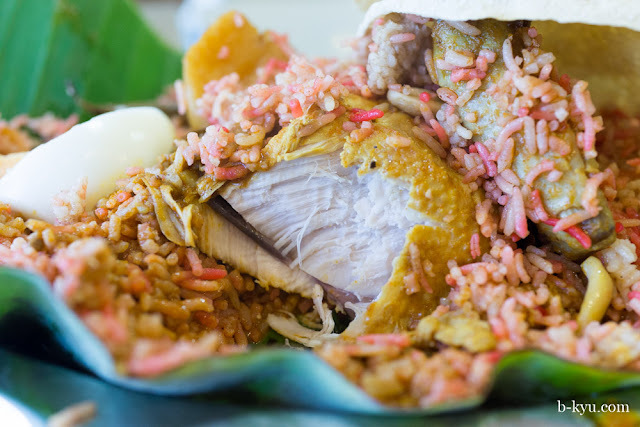 Not a killer version of this Singapore classic but even an average chicken-rice is a good one. Chilly kang kong - $6. 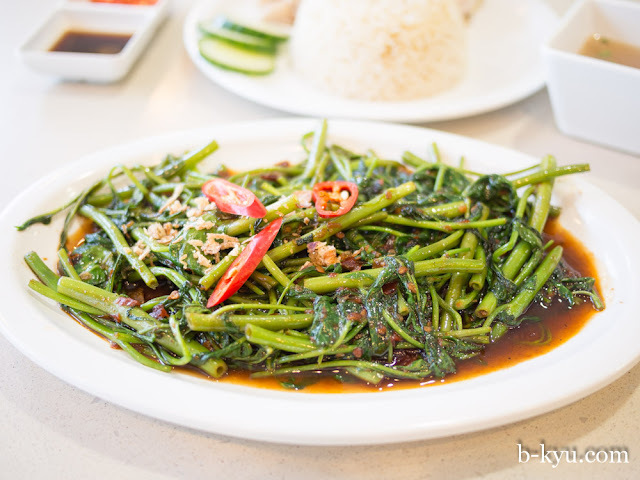 Water spinach stir fried with a good whack of chili, probably some belecan plus a sweet fruity flavour that we can't say for sure but has a reminder of tamarind when it's used on the sweet side. We love this dish to bits and love the price even more, this would be fifteen bucks or more in a restaurant. We had it on a second visit and it wasn't quite so good, but we'd go it again for sure. Mee Soto - $9. Yellow noodles in a tamarind-y/curry style broth, this was the only dish we really thought was a bit meh, it arrived a lukewarm, like it was not quite reheated. The sambal saved the day. Biryani tekka - $13.00. 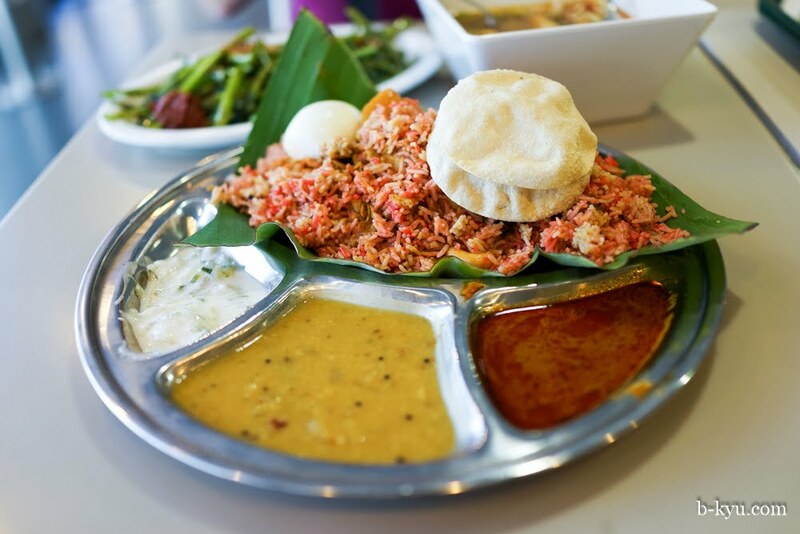 Spicy pretty pink rice with dunky sauces, a great hunger buster. The biryani tekka has a lovely hunk of chicken stashed under the rice. Roti canai - $6. A heavy-ish style of roti, crisped up nicely on the edges, surprisingly filling. The dunkies are top notch: sambal, dahl and curry sauce. 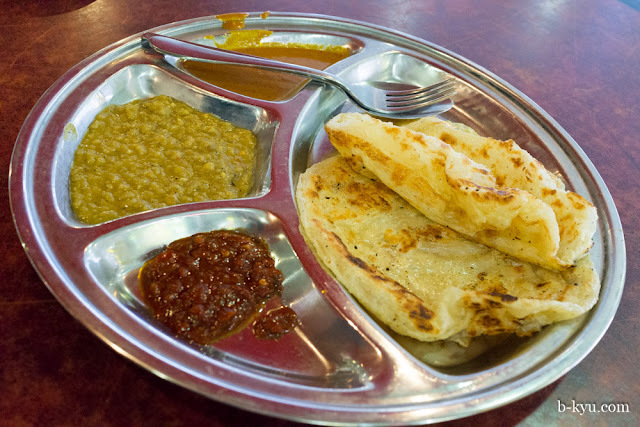 We've encountered this style of roti in Malaysia and we quite like it, not every roti has to be that puffy Mamak style that Sydney-siders obsess over. 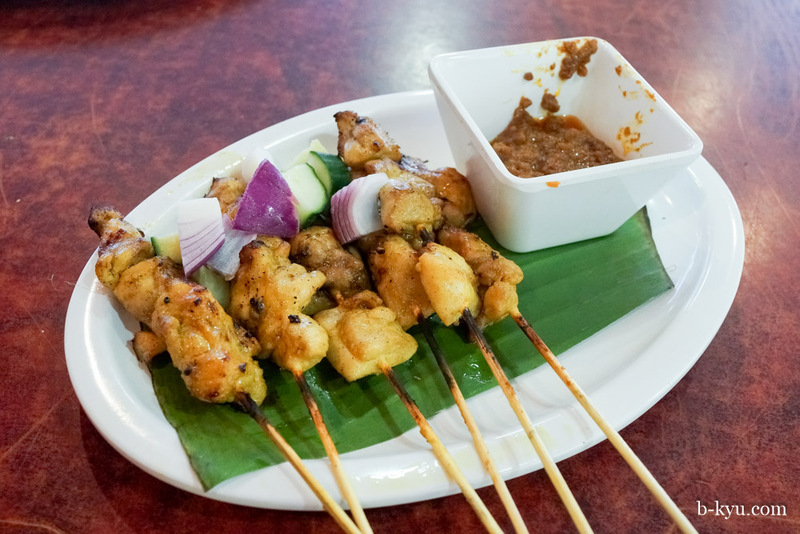 Chicken sate - $8. Fairly chunky sate with a classic sweet peanut-y sate sauce. Liked the chicken. Loved the sauce. Mee goreng - $13.50. 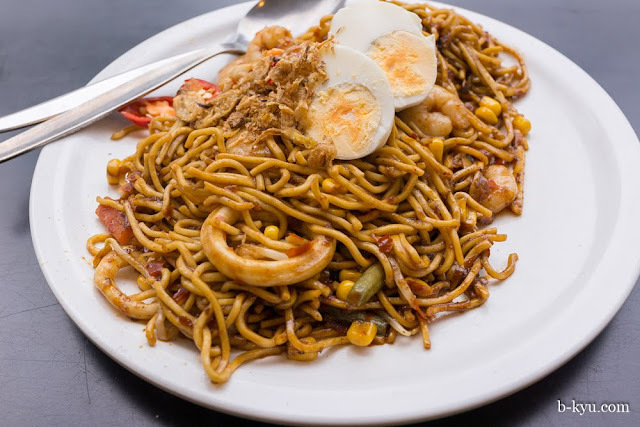 Mr Shawn has become a big fan of mee goreng over the years, it's a dish that varies a great deal from place to place, often spicy, always interesting. This version is a beauty, fairly light and spicy with the right amount of lubricant. Next time we'll ask for extra spicy. 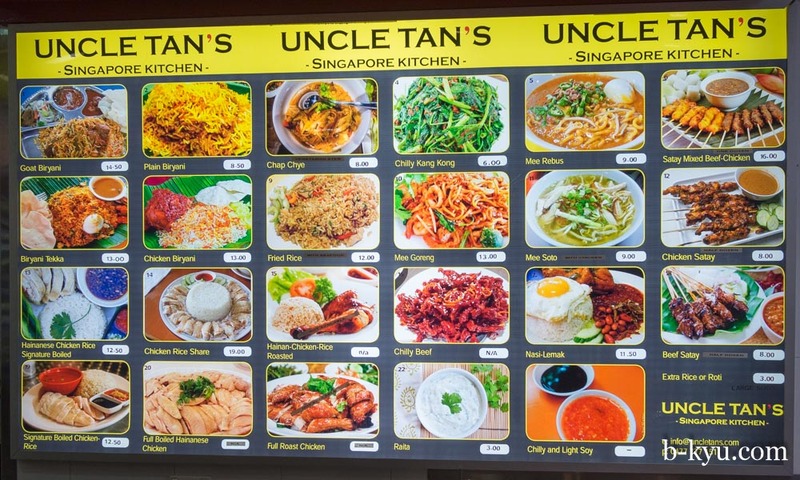 Uncle Tan's Singapore Kichen Menu. Uncle Tan's had a fire not so long ago but they reopened quickly after a brief renovation - champions! 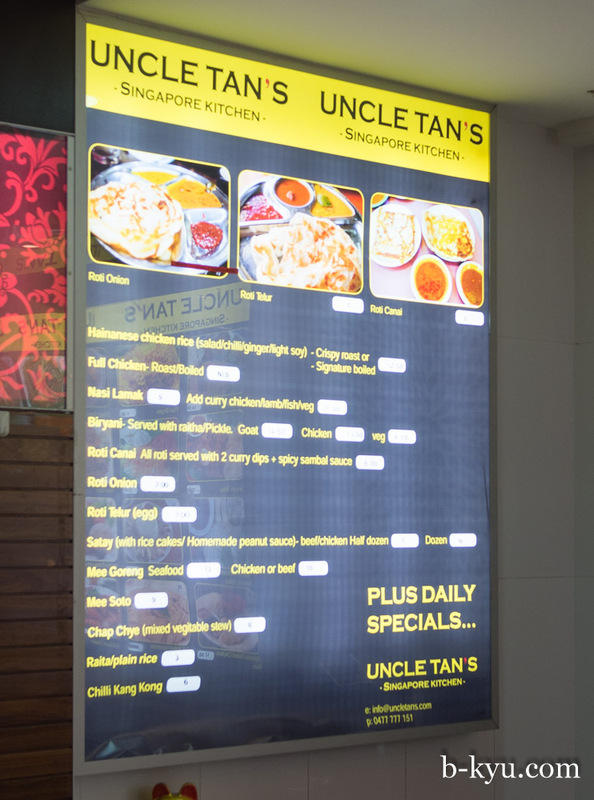 Uncle Tan's Singapore Kitchen is in the Sussex Centre Food Court, which be at 401 Sussex Street, Chinatown. Head up the escalator and boogie woogie..
Yeah, I've been really enjoying it too. I can also recommend the Goat Biryani. The sauce with the goat is beautifully thick and unctuous. And the Nasi Lemak is very good too. Its closed! Very short lived.